Posted July 13, 2018 by Charles Morris & filed under Newswire, The Infrastructure. Charging network operator EVgo has integrated second-life BMW i3 batteries into a public DC fast charging station. The batteries will store energy from the grid generated during peak solar hours and later use that stored energy for charging during periods of high demand. Following a pilot program at the University of California San Diego (UCSD), the site, in Union City, California, went into operation earlier this summer. It has two 50 kW DC fast chargers and two BMW i3 battery packs, each with a capacity of 22 kWh. The addition of a 30 kW inverter makes this a 30 kW/44 kWh energy storage system capable of demand charge management. Several partners cooperated with EVgo on the project. BMW provided the recycled battery packs, and continues to provide ongoing technical support. Princeton Power Systems provided inverter hardware and integrated the inverter with the packs. Kisensum developed software controls for the battery system and managed software integration for the site-level demand charge management. “Our Union City station is just the start of EVgo’s work integrating advanced energy storage into our rapidly expanding fast charging network,” said Cathy Zoi, CEO of EVgo. Easy schematically, but… Split battery in two (electrically) rewire via a switch to allow each half of the battery to fast-charge by adding a new charging port. Re combine battery with auto switch. Drive away in 1/4th,of the regular charging time. . It doesn’t work that way. Batteries charge based on their capacity, not how many are in series. Splitting in two means half the charge rate per half and no difference in overall charge time. Think= Charge two EV’s with one charger. Charge two EV’s with two chargers. Just looking for a way to charge one EV faster. Yes, it does mean reconfiguring an EV with an extra charging port. That may be worth it if you’re always driving long distances like a truck with extra batteries. Yup, extra batteries in your truck will be part of the “load” just like the battery you’re carrying now. Too bad batteries don’t get lighter as they are discharged as do gasoline, diesel even hydrogen tanks. ..
Another way to look at it: An EV truck bigger than an EV car will require 2 batteries. Configure the truck with quick-charge ports, one for each battery. Compare this set-up to one big battery with one charge port. 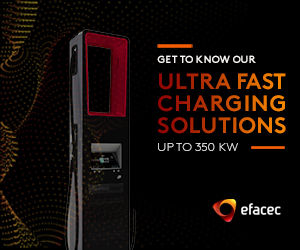 Want faster charging of your total batteries…you’ve got it. Anyone: Pass this on to Tesla or anyone involved with EV batteries. Thanks. It’s coming! !